Call 843.727.2020 to place an order! For delivery call QuickFoxes at 843.277.9271 or click Delivery above. 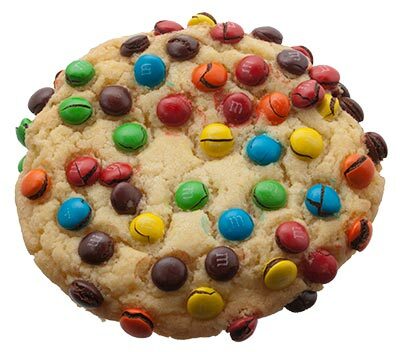 You can never go wrong with adding M&Ms to a sugar cookie!